The start of a new year and the closure of Bandai USA have brought forth avid discussions about the future of anime in the U.S. Some forecasts are grimmer than others, and some are spot-on. So what should we expect from the U.S. anime market in the following years? I’ve decided to share my view of things with you. That’s right. Just like Aniplex of America has been doing for the last two years, with great success if I may add, other Japanese companies will opt to remove the American distributors out of the equation and sell imports of their products directly in the U.S. These direct imports will have English subtitles and probably maintain all of the goodies presented in the original Japanese limited edition. They will also be available simultaneously with the Japanese release. In turn, the prices people will pay for these direct imports will correlate to the Japanese price, which means fans will be paying much more for their coveted series. Mind you, companies like TSRI have already jumped the gun and offer these direct-imports at a small discount which helps soften the blow. Some Japanese companies will not even bother with exporting their series to the U.S., instead leaving it up to the fans to find a venue to buy from and import their English subtitled series. Some of these series will not be available to the U.S. audience in any other way, forcing those who truly cherish their anime to fork over considerable amounts of dollars yens. Streaming is good. It allows potential buyers to see a sample of the series that interests them before making the buy. Moreover streaming gives you access to more obscure licenses of series that never received physical copies or are out of print. It’s even cheaper than buying actual copies and it still supports the overall anime industry. The downside? There are so many streaming services, and most require you to sign up and pay a monthly fee. Netflix, PSN, XBL, Hulu, Crunchyroll, FUNico, ANN, Amazon Instant Video…so many services to decide from. What happens when you have three series you like, but each is on a different service? Sadly, there is a more fundamental problem in streaming than just choosing which service to use: streaming is just not popular yet outside of the U.S. and so the revenues to extract from such a prospect don’t justify themselves. Streaming is almost unheard of in Japan. Why stream something at low quality when you can just subscribe to the TV channel that airs the thing? The exceptions that are streamed (like live performances on NicoNico) are usually shown for free or for a one-time fee. Streaming hasn’t taken Europe by storm either, because each streaming company has to ask the Japanese anime companies for permission to air their licensed series in Europe, and then receive permission to air the content from the TV authorities in the European country they wish to air the series at. In short, it’s a bureaucratic hell which will probably amount to nothing in the end. And streaming anime in the Middle East? Don’t make me laugh. Nor the Japanese companies nor the American distributors care for such a small market. So in the end we are left with the U.S. alone. While there is certainly space for anime streaming services to grow within the U.S., these are the trickles of a stream that is already tapped. More limited editions and complete box sets, pre-order trinkets by the gallon, and attractive discount to whoever buys two or three series as a bundle. U.S. distributors know how to reel in the elusive fans and will not go down without a fight. This competitive nature will also reflect the shelf-life of certain series. A lot of series are bound to receive a very limited print run which will render those series out of print a couple of month following their official release. Why is such a policy good? It allows distributors to calculate the minimum demand for the product to assure that all copies will sell. For the anime companies, it is better to produce 2000 copies and completely sell out, than to release 10,000 and have only half of them sold. If the U.S. distributors are here to stay some compromises will have to be made. The dedicated fans will have to be more dedicated and buy the product on day one. They will in turn be compensated by being the proud owners of a very limited edition with prime boxes, the highest video and audio quality available and maybe a nice little collectible item. This trend isn’t about to start, it’s already happening as we speak. Did you get your ludicrous over the top Ouran High School Host Club Blu-ray set? Or maybe the super limited edition of the Oreimo DVDs? Well, I hope you already bought them if you wanted them, because they were out of print a month or two after release. Well, to be perfectly clear certain retailers in Japan will start stocking up on anime titles from FUNimation, Sentai and the like. Japan and the U.S. share the same Blu-ray region and anime on Blu-ray is much cheaper in the U.S. than it is in Japan. Hence reverse-imports offer the Japanese customers a nice cheap “American Edition”. Not only do they get their series for much cheaper, it also comes with an option for English subtitles and maybe even an English dub (ideal for those diligent Japanese students who want to perfect their English). In return those who buy reverse-imported copies stand to lose some of the extra content found in the original Japanese Blu-rays (a lot of extras don’t find their way into the U.S. Blu-rays and the Japanese couldn’t care less about English bloopers or commentary by the American cast). The U.S. Blu-rays also arrive fashionably late, which means reverse-importers need to have some patience in return for a cheaper price. Think the idea of Japanese retailers stocking up on U.S. anime Blu-rays is far-fetched? Amazon Japan recently began to do just that. Series from FUNimation like Full Metal Panic, Angel Beats!, High School of the Dead, Samurai Girls and Claymore are already in stock there, and can be bought for a much cheaper price than their dated original Japanese releases. If the Japanese companies seek to take a chunk out of the U.S. Blu-ray market by directly exporting their products, why shouldn’t American companies take a chunk out of the Japanese Blu-ray market? The global anime market is a tough frontier, and the fiercer your rivals are the fiercer you’ll get. Remember those awesome anime series that brought upon the anime craze in the U.S. during the end of the 90s and the beginning of the millennium? Most of these series were targeted at a broad audience and focused on plot. Let’s face it, they don’t make these as much as they used to, and their impact on the western world has also weakened considerably. In fact people have been reciting for years that the moefication of anime, which has made anime so much more profitable in Japan, has been choking the western anime markets. The solution? Release those awesome classics again! Old fans could use updated retouched Blu-ray copies of their old VHS and DVDs, while new fans can discover the joy of anime that started it all in the west in the first place. I will be the first to admit that classics cannot support the U.S. anime market on their own (we need modern hits nonetheless), but they sure make up for all the unmarketable anime Japan keeps spawning up in recent years. A new year brings with it a new review! 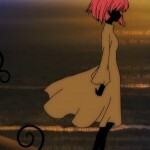 The Welcome to the NHK review has been added to the reviews section. Here’s a direct link. 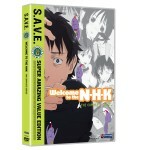 Welcome to the NHK was the first SD series I reviewed. As a rule of the thumb I won’t lower grades of series that have visual issues on modern HDTVs if they were created in SD and don’t have an HD master or upscale available. That is, unless they look outright awful today. Here’s an interesting bit of trivia I found while watching the series that didn’t quite make the cut for the review: the three alien-like baby creatures Sato keeps imagining are refered to in the English credits as Hikikomorians. All three Hikikomorians have different voice actors despite the fact that the only audible thing they do on the show is laugh sinisterly or cry out in fear. If you are interested in the light novel that inspired the anime series you might want to check Brian Ruh’s article on it. He also addresses the notion of hikikomori in general.